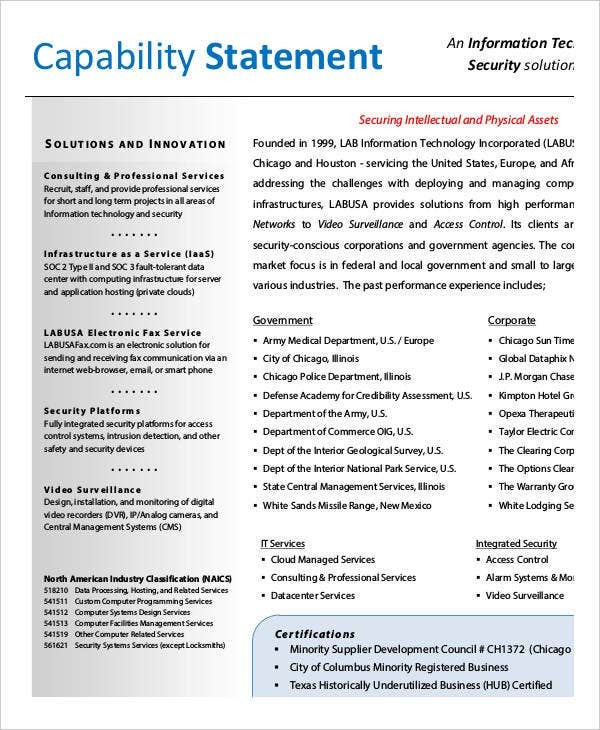 A capability statement is essential since it gives target audiences with specific information about your company that will help them to settle on a decision on whether they ought to do business with your organization. 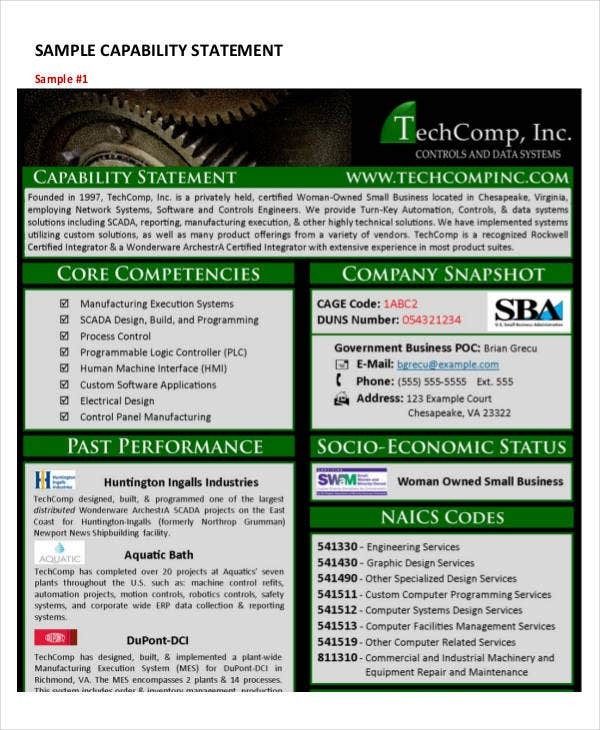 When written effectively and persuasively, a capability statement samples will separate your business from your competitors and strengthens your business’s image and the value proposition (the summary of why a client should avail to a product or service) of existing and potential new clients. 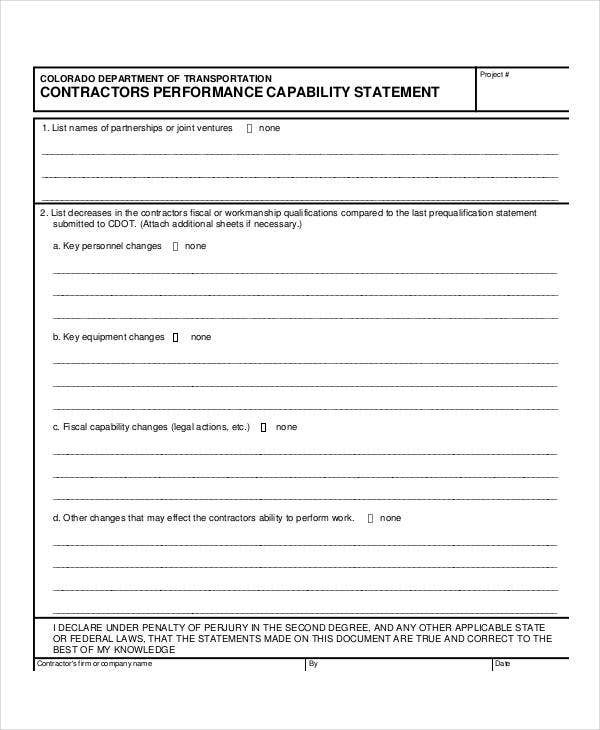 To put it simply, the main purpose of a capability statement is to inform the government of your identity and what you do. 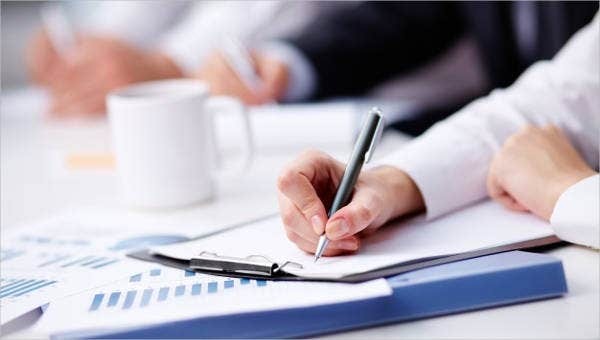 It is not really a business tool but more of a data report about you in an exceptionally logical and organized format that can be read easily. 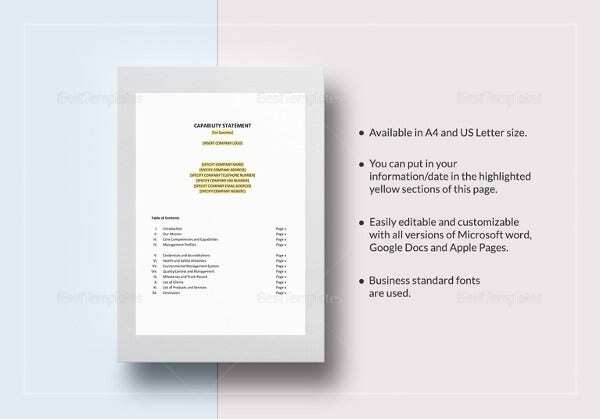 If you’re looking for this type of template, then check out our collection of statement templates. 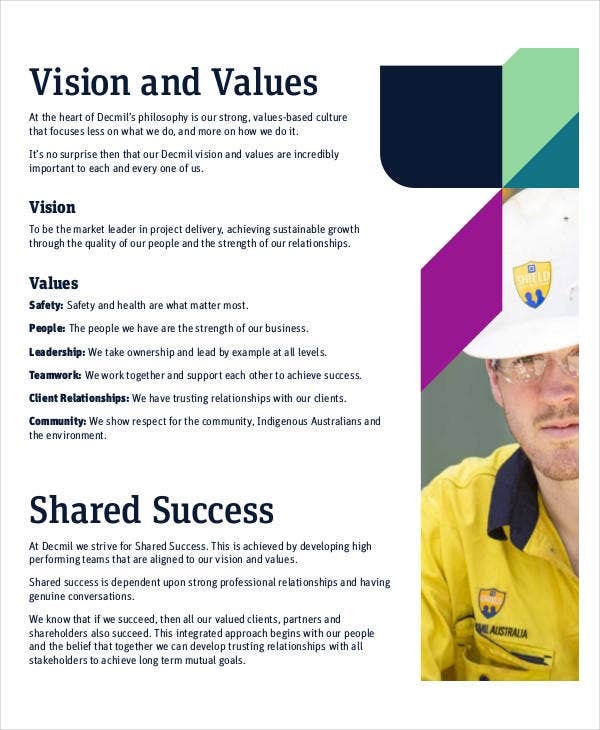 Mission–vision statement. State your business’s overall philosophy so the target audiences can learn more about the direction you are taking your business. Quality and standardization. 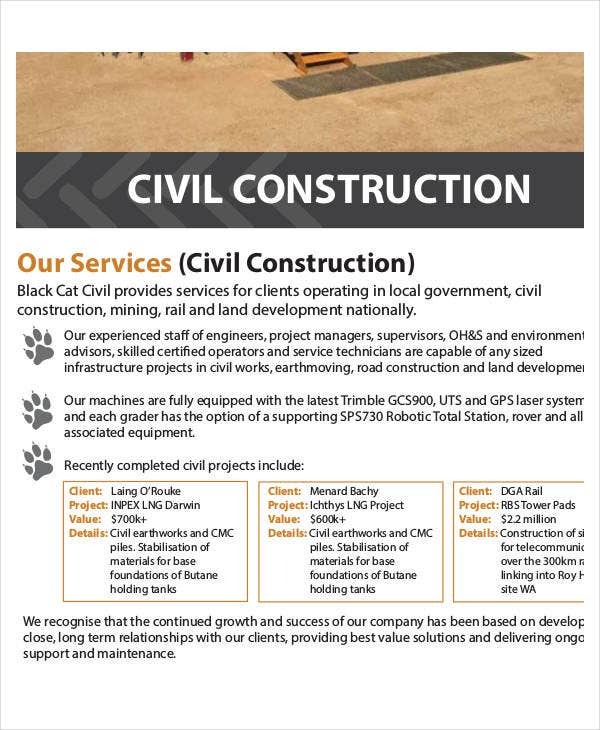 This is where you can outline your organizational approach to customer services and the assurances you can give to potential clients about doing business with you. Social responsibility statement. This is where you indicate that you are a responsible business person. Governance and risk management practices. This section is where you outline your approach to the way you comply with mechanisms and your adherence to the industry’s regulations. Management systems and policies. 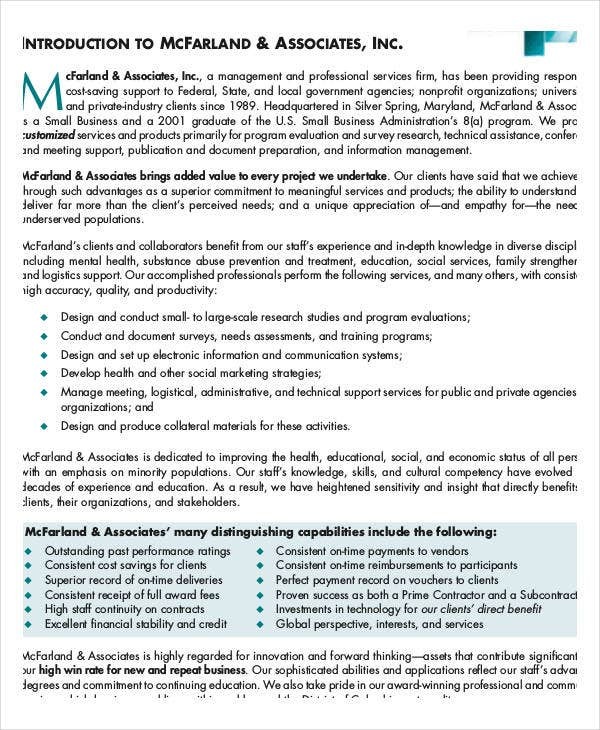 This is used to provide assurance to potential clients that you are competent, reliable, and trustworthy. Global partnerships. This is where you explain how you communicate and which steps your business takes to ensure consistent and reliable services to your business partners in other nations. Client testimonials. 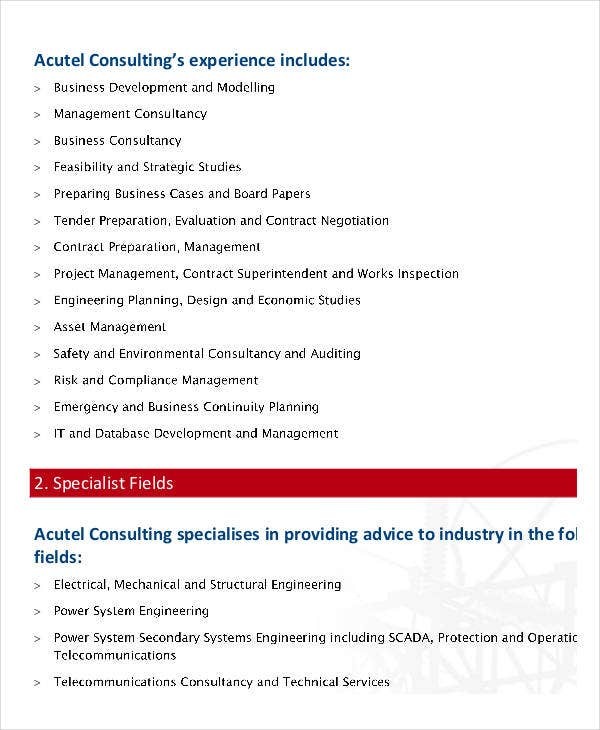 This section is powerful because the feedback comes from third-party sources and helps the decision maker to get to know your business from previous satisfied clients. 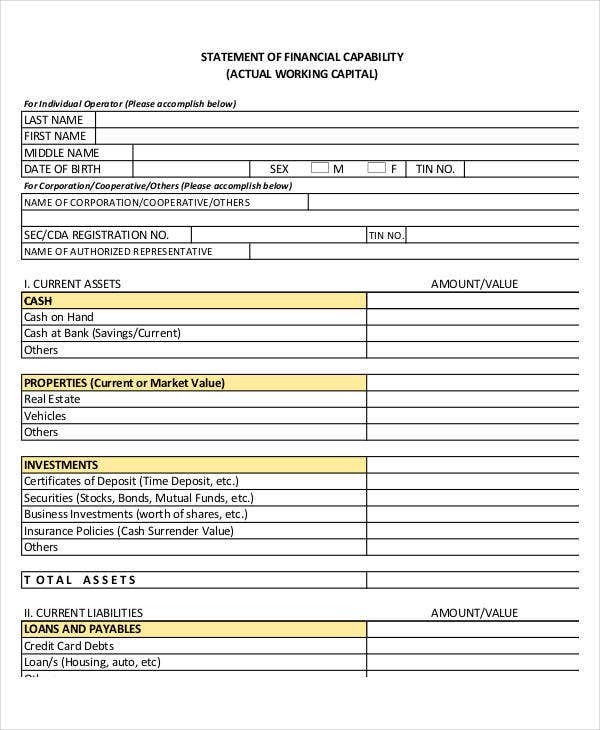 For more templates, check out our collection of Financial Statement and Legal Statement templates. 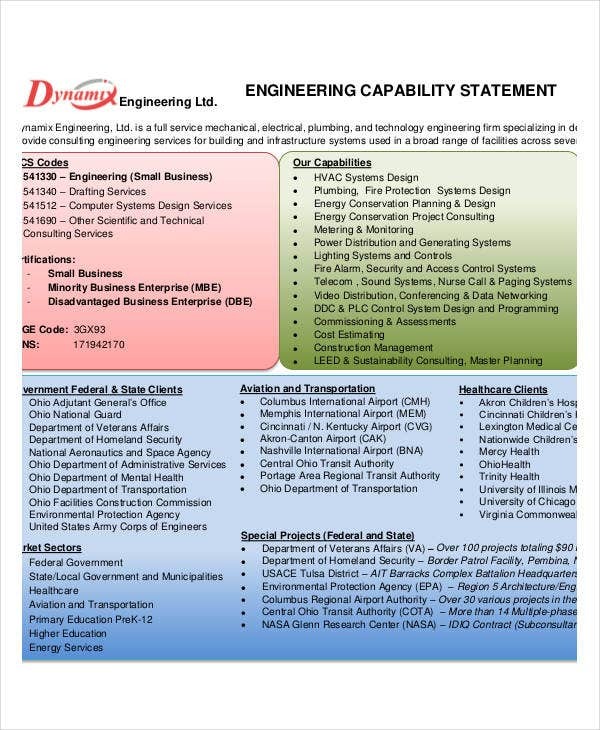 Why Choose Our Capability Statement Formats? 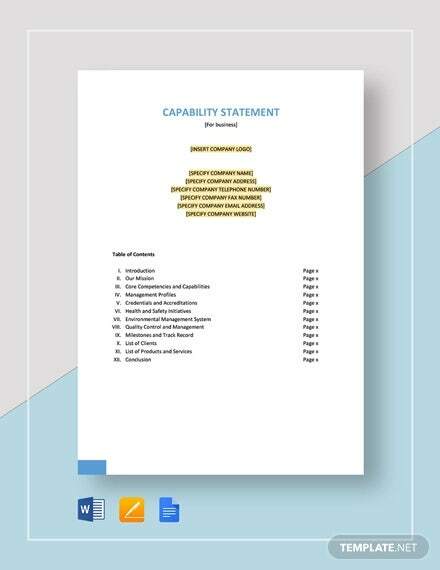 These capability statement templates were carefully selected from among thousands of the best ones on the Web, which you may be able to download easily and for free (simply click on the green download button below the thumbnail). 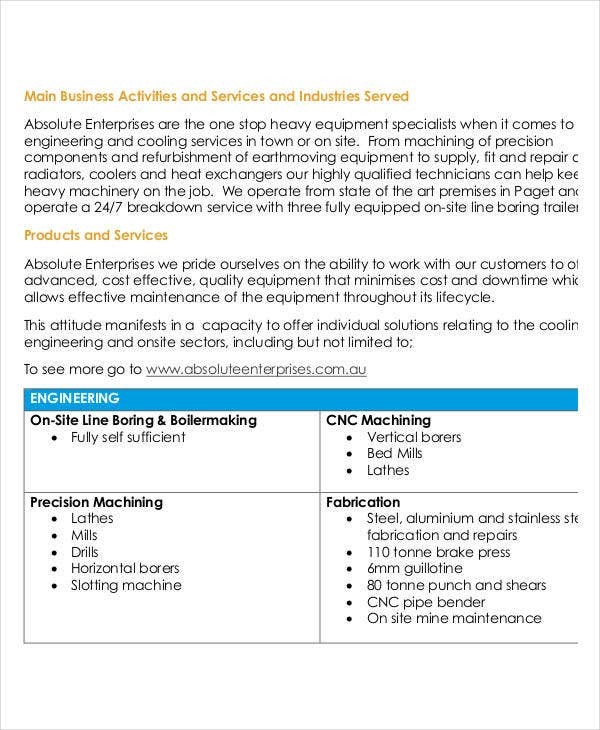 These templates come in high-resolution PDF format to assure you of clear and legible printouts. 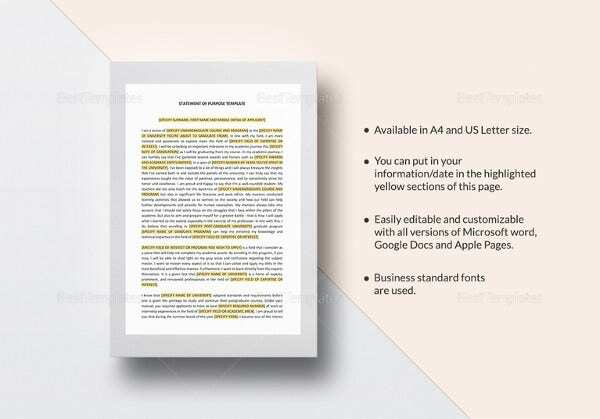 And if you wish to customize these templates, you may need to have the licensed version of Adobe Acrobat to be able to enjoy the editing feature. The income statement displays the financial results of a business for a stated time frame. The income statement is a fundamental piece of the financial statements that an organization releases. If this is the type of financial statement you are looking for, check out our collection of Income Statement templates. So what are you waiting for? Download our templates now. Don’t forget to check out Template.net’s archives for more!